The building I work in happens to be equipped with a basement parking garage, and about 70% of the spaces are reserved for employees. The rest are either visitor spaces or handicapped. A few weeks ago, one of our building’s conference rooms was rented out to a realtor’s association. This meant that for several days we had thirty real estate agents competing over seventeen visitor spaces in the basement parking garage. Those realtors unable to get a coveted visitor spot began parking in the employee’s reserved spaces, and when confronted claimed they hadn’t noticed the reflective metal signs or block lettering (both of which say “Reserved”) adorning each space. The conference we were hosting was for the National Association of Unobservant Paraplegic Realtors. Some of the attendants had slightly compromised their integrity to ensure that they did not have to walk to the elevators. My disdain over their parking spaces reminded me that in a society of personal mobility, the parking space is a powerful status symbol. We will cruise up and down the aisles of a lot searching for the closest space, often wasting more time than we save; and nothing can match the frustration of seeing the mirage of an empty curbside spot on a rainy night only to discover it is really a child’s scooter nestled between a pair of GMC Yukons. 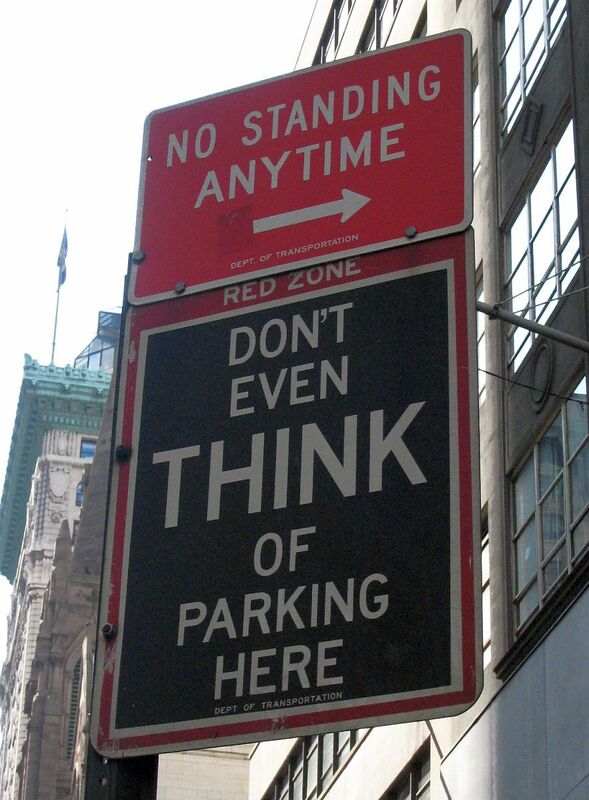 Our fervor for parking has caused many people to lose their tempers, and in some cases, their very lives. B. If you are traveling the wrong way down an aisle and you encounter me as I progress up the aisle correctly, you have waived your right to give me the “what’s up! ?” arms or any reasonable facsimile thereof. D. Unless you are transporting a trauma victim or find yourself taking small-arms fire from another customer, there is no reason to top 45 miles per hour in a parking lot. You would have a difficult time selling the “BBQ Emergency” defense to a jury during your vehicular homicide trial. E. If you have a cart of groceries and are making your way back to your parked car, do not walk down the center of the aisle while you argue with your girlfriend over where you left your Subaru Outback. When combined with a violation of rule D, it might become your last trip to Kroger. F. It you do not possess the skill necessary to park a Ford F-750 Hindenburg Crew Cab without necessitating three spaces, perhaps you should select a smaller automobile to take your kids to Wendys.